Are you a dart fanatic or just play it socially? 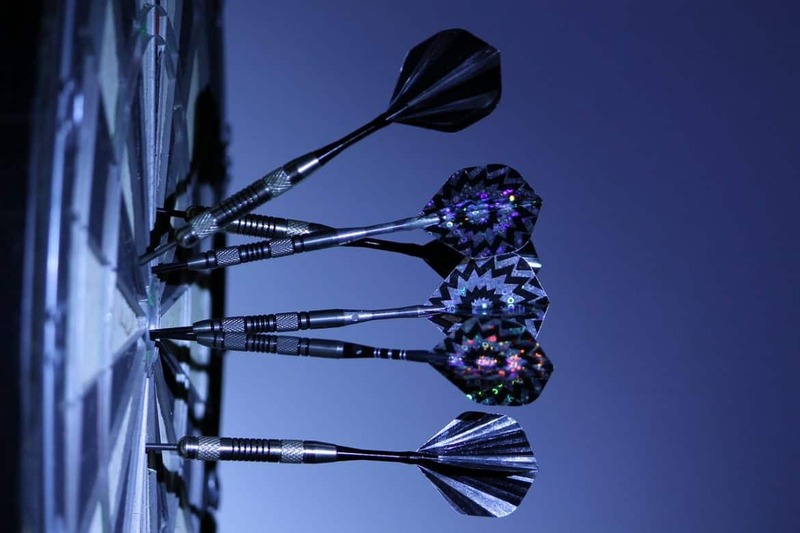 Whatever your skill level is or the reasons behind your interests, one common question that gets asked to us is how can we get exact target scores on an electronic dartboard. Well, apart from experience and skill, you would need the right toolset that allows you to continue to hone your skills; Having the right best soft tip dart set could just be what you need in your arsenal. 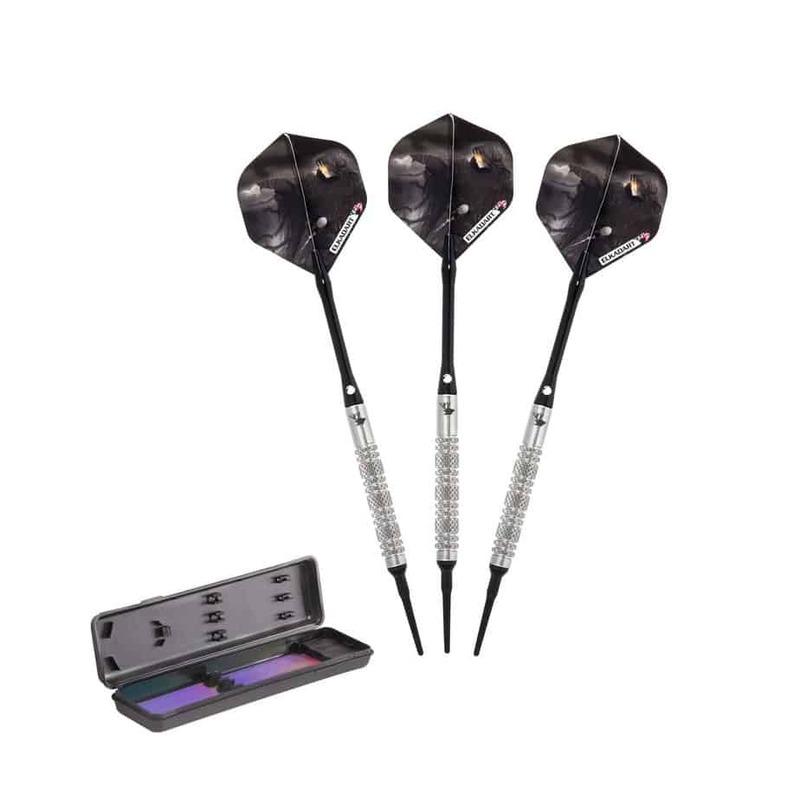 Soft tip darts come in different qualities aimed at all levels of the players so consider spending some time and getting a quality set according to your playing level. They are known for increasing the accuracy and targeting so who knows you might be the next Phil Taylor. Jokes apart, whatever your goal for buying a set-whether playing in international tournaments or playing with your best mates at home, they are guaranteed to improve your comfort, feel and accuracy. For those of you who are used to playing with wooden darts passed through generations, hold your laughs! Darts have come a long way since those days and technology has only made them superior in their aerodynamic qualities. 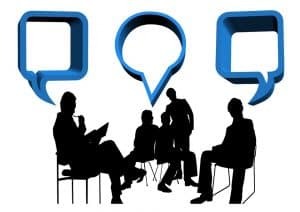 Trust us, We get these queries every other week and the improvements the doubters find in themselves after investing in quality soft tips is simply mind-blowing. 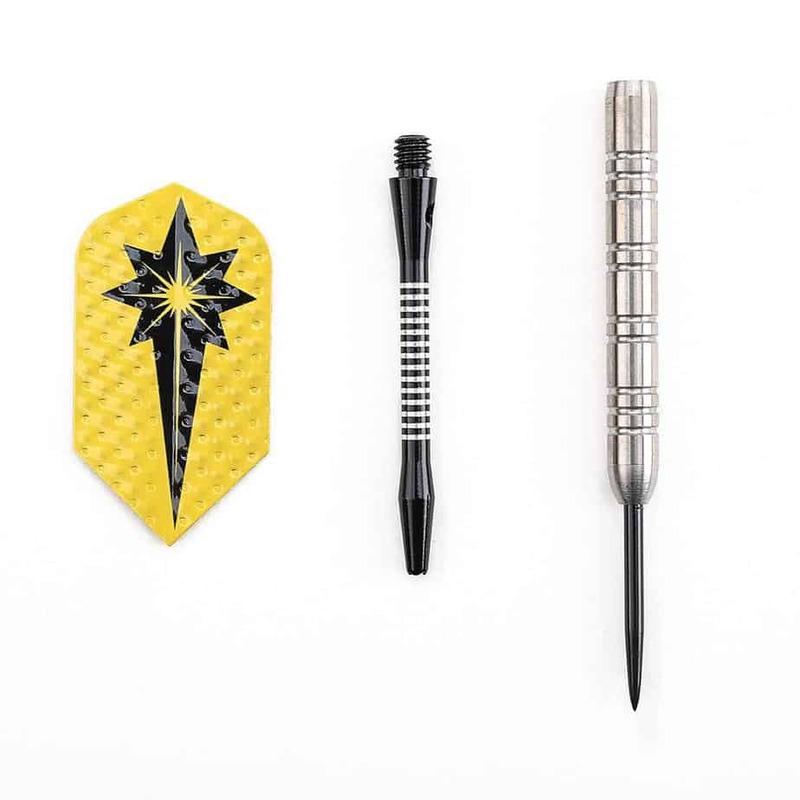 Whether you want to jump on the bandwagon and buy an awesome set for yourself, or still sitting on the fence, this review and guide to buying best available soft tip darts in the market will give you some food for thought. Combine it with any available top quality electronic dart boards and you are good as gold! As with any thing in life, the firs basic rules before buying a dart, soft or otherwise, is to look for those with exceptional build quality. Consider choosing darts made of tungsten if you want the best balance and impact resistance. It has been proven that soft-tip darts with a 90 percent tungsten composition are durable and last significantly longer than other models. ​Models with titanium finish may not be as flashy, but they help with impact resistance. Brass is another suitable option for those who want to spend less money without compromising on durability but we suggest stick to tungsten and you are unlikely to go wrong. When it comes to the game of darts, no standing rule defines the applicable weight of soft tip dart sets for a player. However, its worthwhile to note and probably wise to choose them depending on player's experience level. 14 to 16 grams suit beginner players while 16 grams suits intermediate players. Professional players, on the other hand, can aim for 18 to 20 grams. The dart balance, control and gripping point depend on the barrel used in the set. Consider getting a ones with a tungsten barrel. Tungsten barrels promise stability, better gripping points, more power and durability when compared to other barrels. They also allow you to play the game with right precision. In simpler terms, higher percentage of tungsten in a barrel directly translates to increased durability and power on the dart. A dart’s stability and flying capability depends on the flight feature. For you to get a dart that can quickly move around when thrown, you should carefully choose the type of flight included in the product. You’ll find darts with flights shaped like a kite or tear drop. Other flight shapes include slim and No-6. The slim-shape is the best of all these shapes since it is less prone to external interference during the flight and more or less lands on your desired target scores when you master it. Most people believe that darts with lots of flights, tips, and shaft replacements offer an excellent value for their cash. However, these replacement parts may mean that the dart’s overall quality may not be as good as the manufacturer advertised. If you’re buying the darts for your kids, get those with plenty of spare parts. Bottelsen Skinny is a soft set that’s suitable for the players looking to reach higher game levels. Features such as slim tungsten barrel, high-quality slimflight and aluminum shaft make the dart ideal for all players. You can rely on these features to stimulate your throwing every time you hold them in your hand. The included slim flight gives allows for super fast flying and helps the tail to stay low. In this case, when you throw the dart to soft tip dartboard or electronic dartboard by target scores, it won’t deflect. Bottelsen Skinny also comes with small knurled grip and six hand-painted rings grooved in its barrel to offer a smooth gripping point. With such a grip, the accuracy of your shots will always be close to the target you aimed for. You can even store your darts in the deluxe Croco dart case when you’re not using them. The elegant case also allows you to carry them and use them elsewhere. Bottelsen Skinny is suitable for different levels players since it supports weights including 16g, 18g and 20g. With 16/18 grams in weight options, Winmax soft set is ideal for every player. You can get this product if your goal is to spice up your game or reach new gaming levels. Winmax darts comewith a storage case and a total of 3 darts for the maximumgaming experience. They also feature PET pro flights designed to boost speed, maintain balance and deliver a consistent flight path to help you hit your targets. The super slim design offers great gripping points, grouping and poise. The designalso delivers incredible balance and handling experiences. Winmax soft tip dart set also features grooves and knurling positioned strategically to enhance control. You can use the product when participating in tournaments or having fun with your friends. 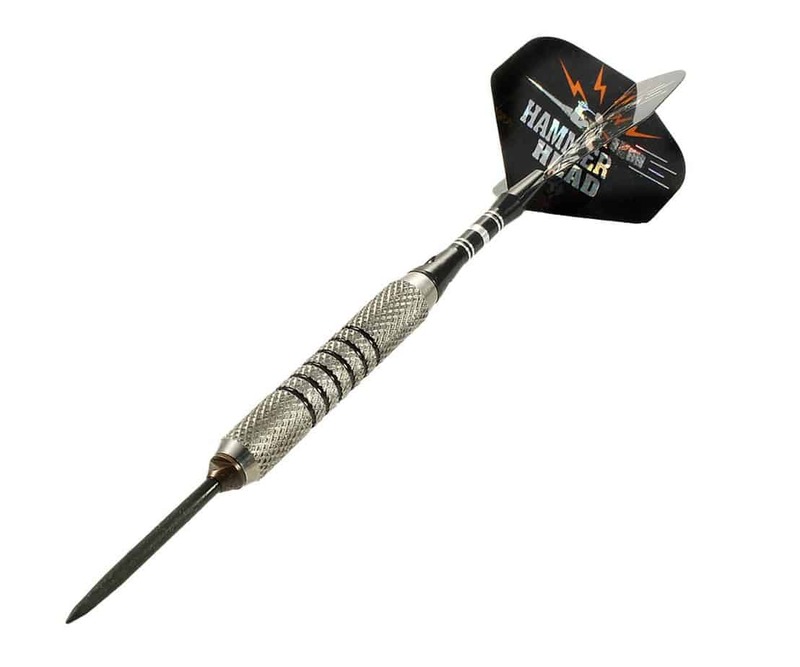 Winmax darts come with denser tungsten barrels that are more durable than the ones made of silver or brass. The darts are sturdier and stylish in appearance. Since it’s normal for shafts and flights to wear after heavy use, the included replacement parts help you fix your darts when this happens. At 16/18 grams, the darts can fly in a straight line thus allowing beginners to learn and succeed. Unlike copper and brass darts, Winmax is resistant to rust, wear and tear. The sturdy design makes Winmax rank among the few large Tungsten designed darts currently sold on the market. 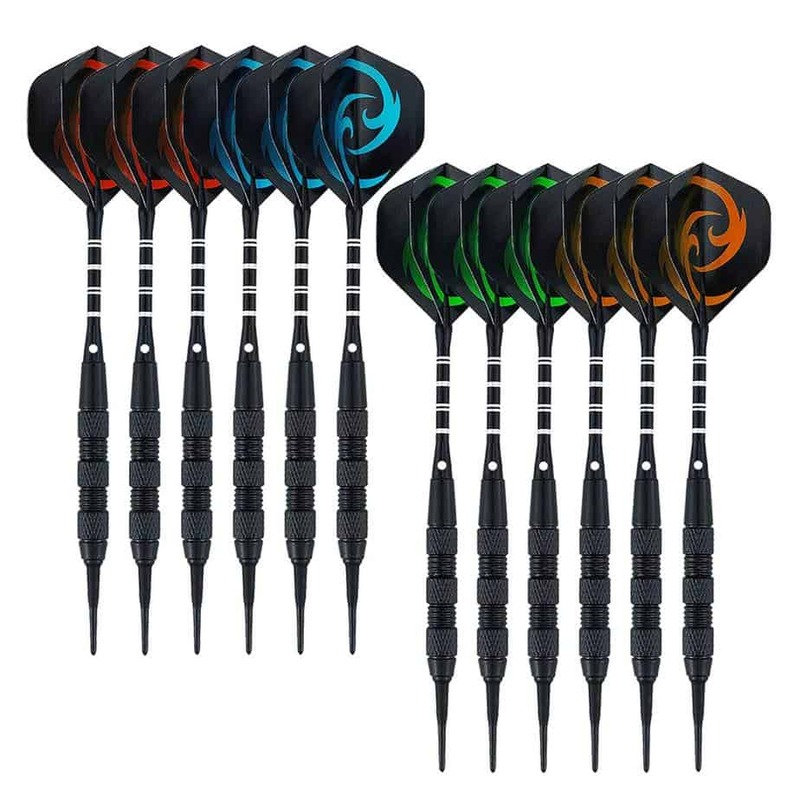 The softer set offers a unique feel and control for the best outcomes when using your electronic dartboard. As you probably know, Viper is one of the leading dart and dartboard manufacturers in the world. The company is reputable for creating darts that work well on selected electronic dartboards such as Viper electronic dartboards. Sure Grip darts come with a tightened plastic tip that can conveniently stick to the dartboard when thrown. 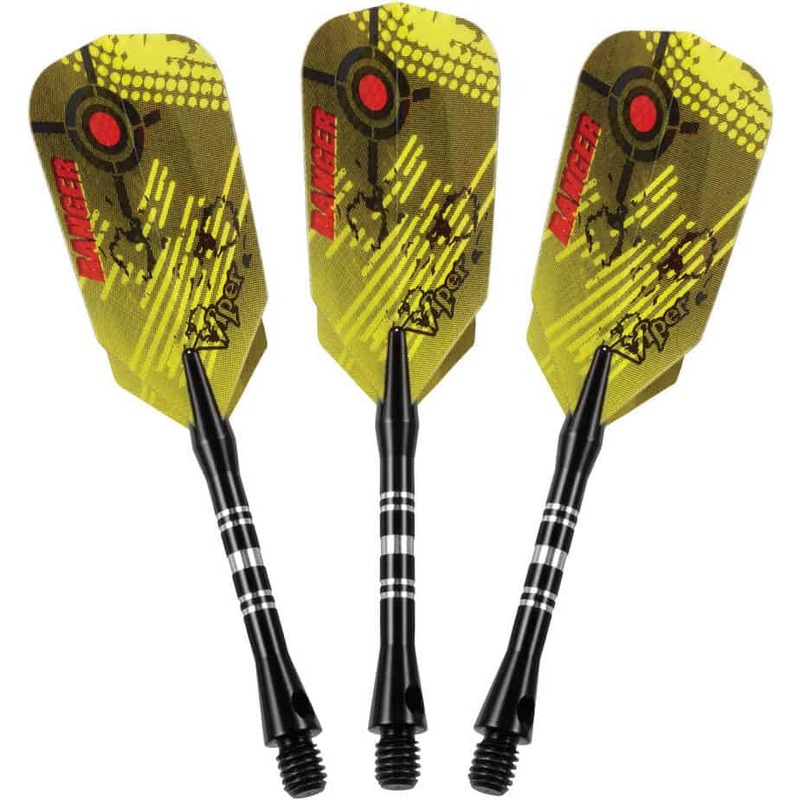 The product also features slim flights that help increase their speed and ensure that they hit the target at a good angle. Viper Sure Grip comes with two weight options (16g and 18g). The low weight classes make this device easy to learn with and play the dart game. Sure Grip boasts of an exciting design that features a rubber grip sleeve, a 2BA reinforced tip and aluminum locking hole on the shafts. You will notice these features will help improve your release. Sure Grip comes with an ergonomic and balanced design for ease of use. The extra-secure locking mechanism makes it easier for you to play for more extendedperiods before refitting the dart tips. The slim flights, on the other hand, have a holographic design that’s elegant in appearance. We have noticed through our tests that, although the overall quality of the Sure Grip is incredible, the flights aren’t that stable. Arachnid Tungsten Soft Tip Darts are arguably the best soft-tip darts for beginners and intermediate level players. Though they have only one weight option (18 grams), you can choose between 80 percent or 90 percent tungsten composition. When compared to other models currently sold on the market,the aerodynamics on Arachnid soft tip darts is superior. When used properly, they can help you move from beginner to pro level effortlessly. 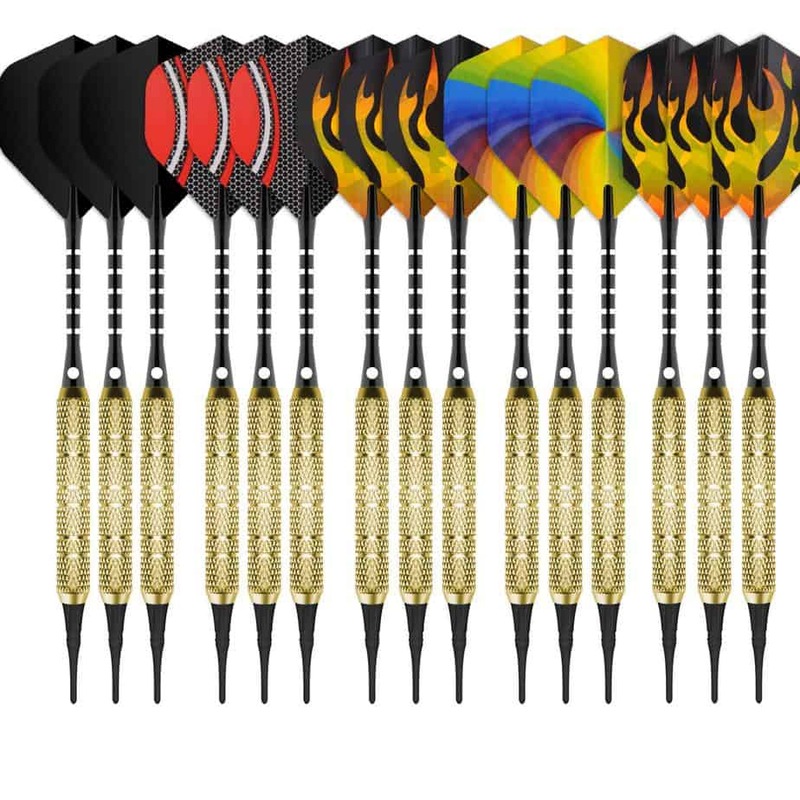 The product package includes three spare aluminum shafts, three darts, three additionalflights and seven extrapoints. You’ll also find a sturdy deluxe case with a clip that helps you store your darts or carry them safely when heading out. With a sublime weight, Arachnid soft tip darts areideal for those who want to enjoy your game in real-time without slacking on performance. The ultra-dense tungsten alloy allows the darts to have thinner shape needed for better control and higher scoring. Arachnid soft tip darts also feature a well-built frame for helping you set things in the right direction. The side rider case can easily clip to your belt hence enabling you to take the darts anywhere you go. The darts stand out for their versatility and unique design. Though Arachnid darts work well with Arachnid electronic dartboards, you can use them on other plastic dartboard models. You’ll need to test the Tungsten darts to measure your performance if you’re a pro player or you want to turn pro. You may reach about 180 points with consistent practice. 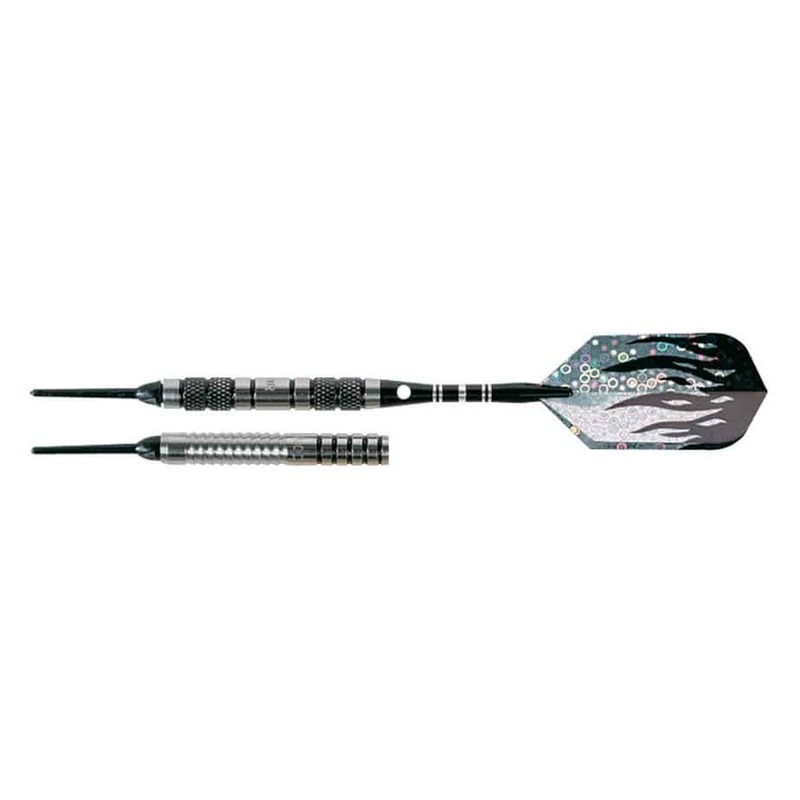 Viper ranger Tungsten Dart set is one of the top soft tip models for an electronic board. The tungsten and nickel barrel give the product the right balance for delivering value to each player. With a unique case for storage, you can conveniently keep soft tip darts safe for you and your loved ones. ​The Deluxe Dart Pal Case also allows you to carry the three darts in a backpack while traveling. On the other hand, the soft cloth lining found on the inside, andthe hard outer shell gives Viper Ranger Dart an elegant look. The product contains 90 percent Tungsten and 10 percent Nickle barrel for durability and strength. Ranger darts boast of great balance and slim profiling and come in 14, 16 and 18 grams weight options. With tightly fitted shafts, the darts can make it easier to play the game for long without the need to tighten them. You also get the stability needed to take your game to a whole new level when using them. 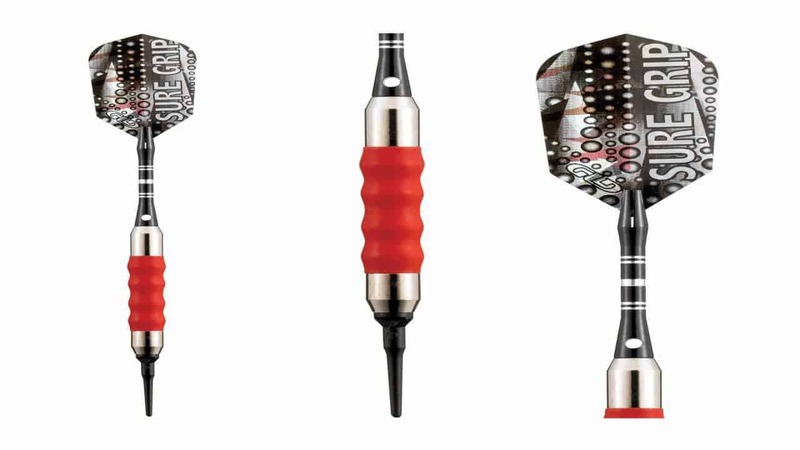 ​Accessories that come with the product include a dart mechanic wrench and a set of convex nylon shafts. You’ll also find flight protectors and 2BA dart points in the box. Such accessories help you enjoy the flow of your game. Cyeelife Soft Tip Dartsare among the few budget-friendly soft tip darts for beginners you’ll ever find. The pack has 15 darts, 30 flights (both standard and slim styles), 15 replacement aluminum shafts and 180 soft tips. The replacements shafts help you deal with any issues that come when using the darts. The plastic dart set can help make your throws and projections more accurate. Cyeelife Soft Tip Darts are also ideal for both intermediate level players and professional players. Thought the tips are soft, they’re not easy to break. You can use them on differentelectric dartboards to improve yourmastery of the game of darts. With the Cyeelife Soft Tip Darts, you’ll have enough darts in one pack to play with your entire friends or family. You can also use them to maximize your wins at a professional tournament or friendly match. Note that the level of precision that you can achieve with them depends on your skill. Elkadart Razor is an ideal soft dart set for both beginner and intermediate level players. They have an amazing build quality and design that make it worth an investment for dart players. Elkadart Razor comes with a travel case for safely storing the three darts when they’re not in use. Razor features a super slim design that guarantees the best gaming outcomes and can also last for many seasons and save you money in the long run. These darts are amongst the most shared darts within families so you can even present them to a friend or family member during a special occasions. Wolftop darts are reputable for making soft tip with a stylish finish, good balance and sturdy design. They come with well-balanced nickel-plated barrels and a decent grip for the best gaming experiences. You’ll usually find the WolftopSoft Tip Darts in 17 grams weight options. Wolftop darts come with solid 2BA aluminum shafts that make them more durable than those made of PVC. 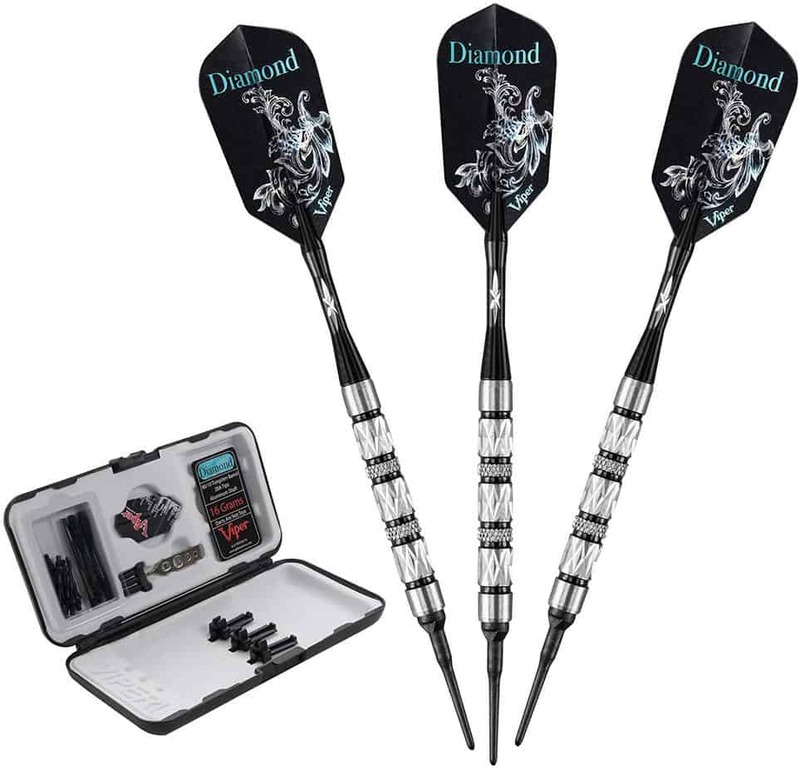 The dart set also includes high-quality black coating steel barrels with unique styling and excellent balance. The 12 darts come packed in a jar, which makes them easy to access and carry. The product’s package includes 36 soft tip replacement pieces, which can last for long. The strategically positioned grooves and knurling offer excellent gripping points and enhance your control. The darts are ideal for beginners of all ages. 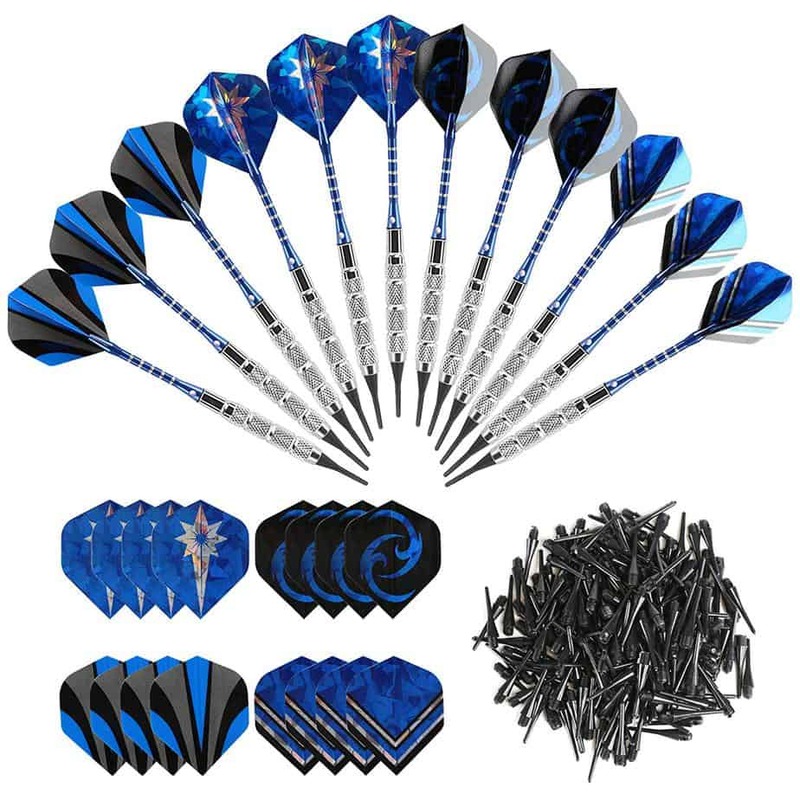 Wolftop dart set also includes 12 darts and 36 extra tips to help you optimize on winningyour game. Though the product lacks replacement aluminum shafts and flights, it features a superb locking mechanism and tight fit for the flights. In this case, you won’t need the replacement parts for a long time. Viper Diamond darts are ideal for players who enjoy using skinny darts. On the other hand, thin darts can easily fit in your hand and give you the chance to maximise your winnings. Viper diamond darts have a lovely grip and come with enough rings that can help you make accurate throws. Viper Diamond Tungsten come with robust aluminium shafts that give you the balance needed for productive gaming. You can count on them to take your gaming skills to a whole new level and explore the vast benefits that a good game of darts offers. The darts also give every player the edge needed to stay on top of their game effectively. Gwhole Soft Darts can mostly be used only with electronic dartboards. Though they’re wobbly, they offer you over 200 soft tips to fit in your 12 darts. Furthermore, you’ll get 16 flight replacements and four different styles. Gwhole Soft Darts also featurean ergonomic barrel design to help you optimize your game. The softer than soft darts have striations and grooves that offer a solid grip for each throw. You may find it hard to play with them when your hands are moist. Gwhole models come with four strategically positioned rings that offer extra comfort when throwing. The softer tips can also work on most electronic dartboards available on the market today. The darts feature barrels made of high-quality nickel to offer extra balance and stability. They also come in different parts that you can combine on your own. You can also combine them to play as a beginner or intermediate level player as you wish. When bought, the package includes four different types of dart flights.